‘Mad Max: Fury Road’ looks fantastic. I did rank it as #4 of my most anticipated movies of 2015. It’s been months since the original teaser trailer, so Warner Bros. has a new poster for us, as well as three quick 15 second spots, all leading up to tomorrow’s release of a full trailer for the film. Now, those quick teasers I promised. 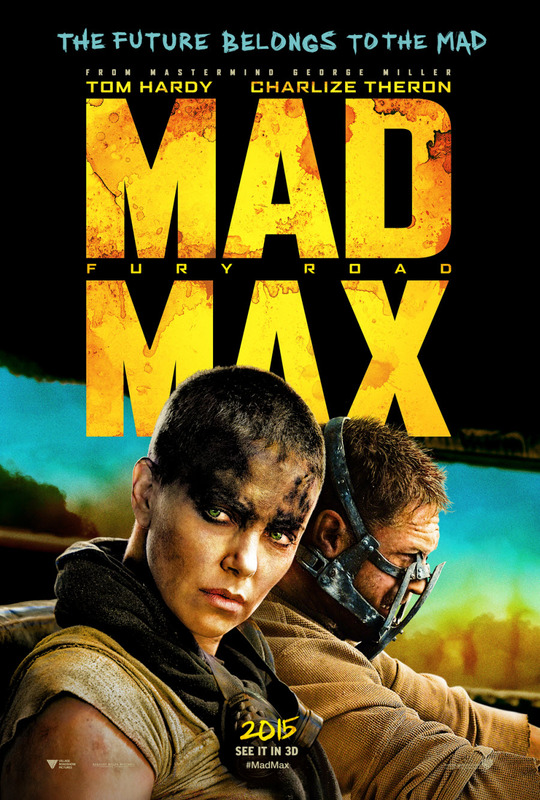 ‘Mad Max: Fury Road’ hits theaters on May 15th, leaving two weeks for the Avengers to shine. And don’t forget… New Trailer Tomorrow! As always, here on Breaking Geek.com! Previous New ‘Jurassic World’ TV Spot Paints Poor Indominus Rex as a Psychopath. With An Entire Trailer Worth of Screen Grabs!